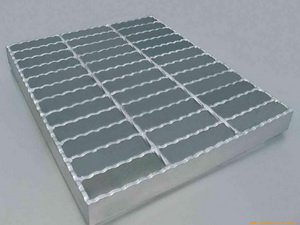 Product categories of Serrated Steel Grating, we are specialized manufacturers from China, Serrated Steel Grating, Serrated Galvanized Steel Grating suppliers/factory, wholesale high-quality products of Galvanized Serrated Steel Grating R & D and manufacturing, we have the perfect after-sales service and technical support. Look forward to your cooperation! 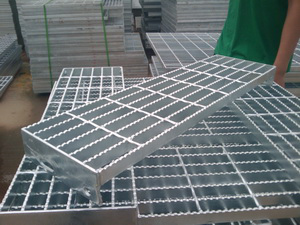 Widely used in power plants, refineries, sewage treatment plants, silos, chemical plants, highways, airports and docks and other platforms, walkways and gutter covers, stair step. 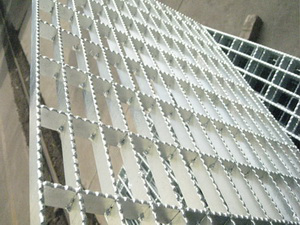 Tooth steel grating which can be used for wet, slippery places, especially for offshore oil platforms.